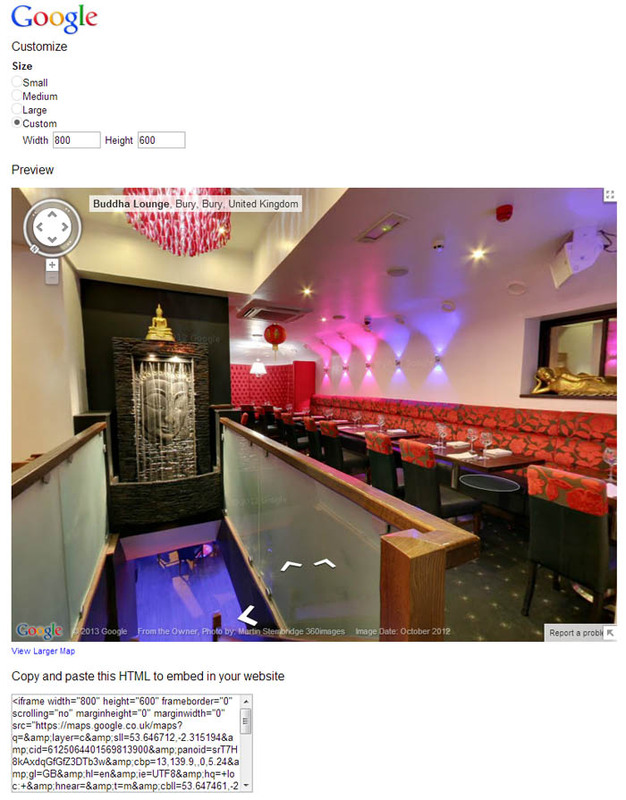 Here at 360 Images we can only give you the virtual tour and the enhanced Google listings etc. Its then up to you to make sure as many people see them as possible, so why not add your virtual tour to your Facebook page. It takes minutes to complete and could give your business the exposure you wanted. Click “Install App” and you will be asked which page you want to install the app onto, choose the page you have created for your business and then click “Add Page Tab”. You then need to authorise the application, just follow the instructions until you are at the “App Settings” page. Open your program that you use to surf the net and navigate to your virtual tour. Click the chain icon on the top left hand side (see image below). A menu will appear that will give you options to either copy the URL or the iFrame code. At the bottom of the window is a link to “Customise and preview embedded map”, select this option. Select “Custom Size” and then set the width to 800 pixels and the height to 600 pixels (See image below). Move the Google Business Photos tour until you have the exact view that you would like to present to potential customers. When you have the location you want to add to Facebook then Copy the iFrame code and close the internet browser window. Return to your new tab “App Settings” page and paste the code you copied into the box. Ensure you have enabled the option at the top to “Enable timeline wide mode”. In this section you can add an image and rename your new tab. Step 4 – Now tell the World !!! Save your settings and then have a look at your virtual tour embedded into Facebook. Make sure it displays correctly and then go tell all your friends !!!! !